This is a project we completed during the summer of 2015 in Lancaster, PA. There was an existing small deck that we totally removed. 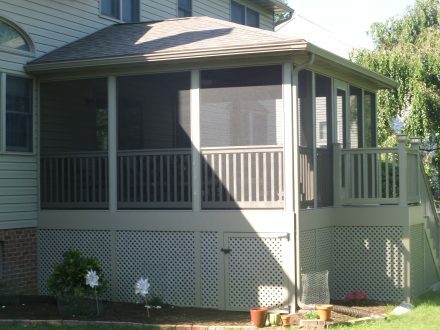 With a screened-in deck like the one pictured below, you can enjoy the evening without all of the bugs bothering you!